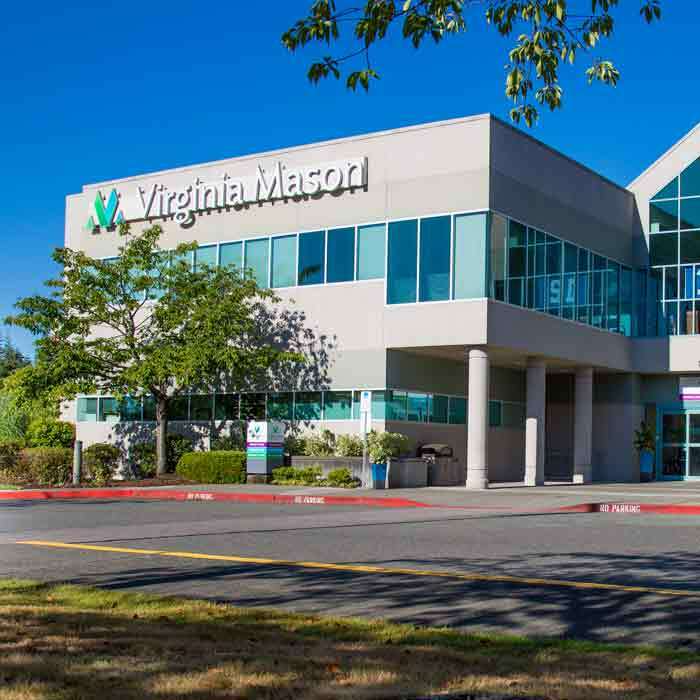 The Digestive Disease Institute at Virginia Mason is deeply committed to providing the best care for our patients, every day. We thank them for sharing their unique stories. Then there’s the pain that has nothing to do with the game, but everything to do with Dani’s inflammatory bowel disease (IBD). 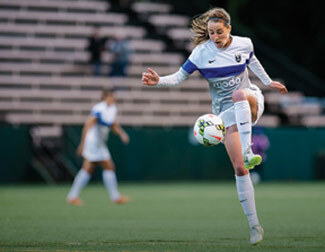 As Dani began her professional U.S. soccer career, she saw a gastroenterologist who suspected ulcerative colitis, a primary form of IBD. After trying different treatments that should have worked, Dani’s flare-ups still felt out of control. Desperate to find another doctor, she turned to the Digestive Disease Institute at Virginia Mason. Dani’s care started with tests to look for damage in her digestive tract. They revealed that her disease had spread to her colon, and bleeding had caused her red blood cells to dip well below normal levels. Gastroenterologist Elisa Boden, MD, knew Dani needed a new strategy. The way Dani’s disease spread is fairly rare, but it was important to identify because it changed the treatment plan,” says Dr. Boden. Dr. Boden and the DDI team worked to recalibrate her medicines, manage her nutritional status, and shorten her downtime. While Dani admits her IBD has been no easy ride, she credits the collaboration and support from Dr. Boden and the DDI team for not only helping her get better, but for giving her hope that she always could. Gayle Freel, 55, lives with her husband, Monty, in a small Oregon town that sits on the Idaho border. She has had health problems since she was a child, including a heart condition for which she had surgery as a six-year-old. Three years ago, her digestive system started giving her trouble. The first doctors she consulted were not convinced she had any real medical problems. 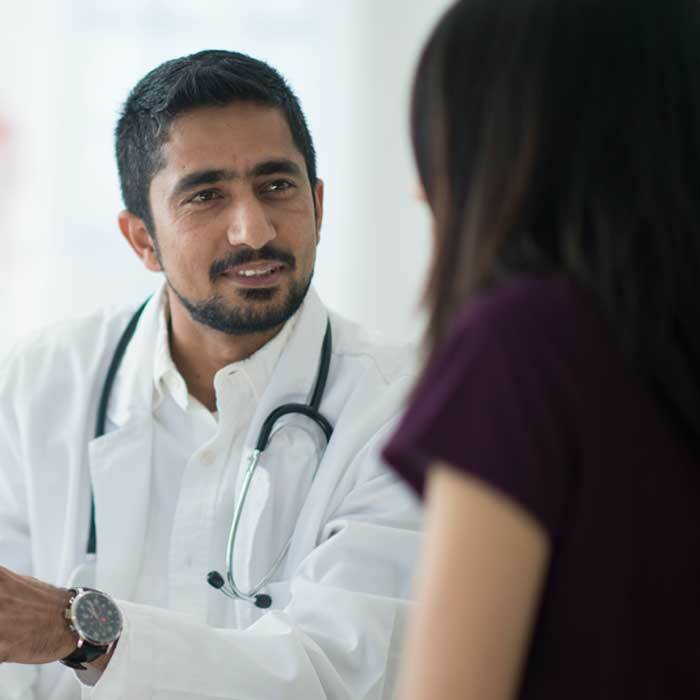 After months of frustration, Gayle switched her primary care doctor and he consulted with a gastroenterologist in Boise, Idaho. Together, they reviewed Gayle's tests and decided that she needed care at a "bigger and better" hospital than any available nearby. Several choices were presented and Gayle says she chose Virginia Mason "because I had heard it was good, and boy is it!" But by the time Gayle arrived in Seattle, she had had all but given up hope. From her first visit to Virginia Mason, however, she began to feel that she would get better again. She says the physicians who examined her "believed me. They believed that I was really sick." She began to trust that there was a solution to her abdominal distress. And indeed, physicians at Virginia Mason found that she had an intestinal "malrotation," a condition in which several areas of the intestines are abnormally located. This was caused in part by tissue called "Ladd's bands" that had formed between the cecum (the first part of the large intestine) and the abdominal wall. The banded tissue can create a blockage in the duodenum (the beginning of the small intestines) causing the abdominal distress that Gayle was experiencing. 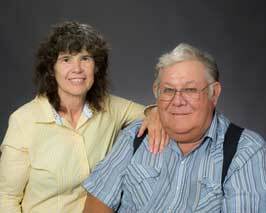 After undergoing gastrointestinal surgery to address the problem, Gayle spent four days recovering at Virginia Mason. She describes her doctors as "amazing" and her inpatient care team as "absolutely the most caring and friendliest people I have ever met." 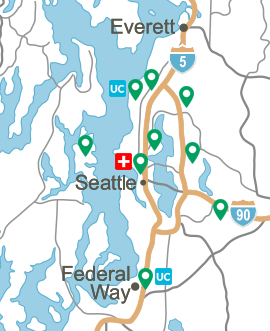 Her surgery was in February and she is still being followed by her physicians in Seattle. "I wish I wasn't so far away from Virginia Mason," says Gayle. "The doctors and their care teams saved my life." She says that she hopes that by sharing her story, she can help others having problems and encourage anyone having medical issues to not give up hope. "Don't let anyone ever tell you that you're making up your pain," counsels Gayle. 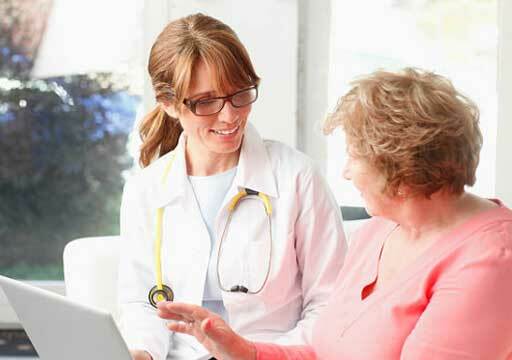 She said she was glad to finally find physicians who paid attention to what she was saying and worked hard to find a solution to her problems. "I will always be truly grateful to Virginia Mason for that." When Maija Eerkes was diagnosed with pancreatic cancer, she looked at beating cancer as her new job. 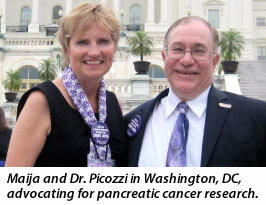 Her action plan started with finding the right partners for this unexpected venture, which led her to Vincent Picozzi, MD, Associate Director of the Pancreatic Center of Excellence, and the care team at Virginia Mason’s Floyd and Delores Jones Cancer Institute. One of the most lethal forms of the disease, cancer of the pancreas is rarely operable, usually due to the involvement of major blood vessels. When a CT scan confirmed this was the case for Maija, Dr. Picozzi was undeterred and recommended she begin a specialized treatment regimen designed to shrink tumors and prevent the cancer’s spread. After battling the difficult side effects of chemotherapy, Maija was continually supported by her care team, including radiation oncologist Guobin Song, MD, PhD. In September 2011, exactly five years after her initial diagnosis of pancreatic cancer, Maija’s CT scan showed no sign of disease. Her good fortune as a survivor has called her to help others and today she volunteers with the Pancreatic Cancer Action Network and with Virginia Mason’s Cancer Institute. Ky Hopewell was facing a daunting surgery to remove a potentially malignant intraductal papillary mucinous neoplasm(IPMN) cyst from his pancreas. It was recommended that Ky see Scott Helton, MD, Director of the Liver, Pancreas and Biliary Surgical Center of Excellence. After meeting with Dr. Helton and participating in subsequent tests, Ky was told that he was a candidate for the Whipple procedure, where the duodenum and sections of the pancreas, stomach, small intestine, gall bladder and common bile ducts would be removed. The remaining small intestine is then reconnected to the remaining pancreas, bile duct and stomach. When Dr. Helton began the surgery, he performed an intraoperative ultrasound and noted that the cyst, which was 1.3 inches in length, was most likely benign and only a quarter of it was encapsulated by the pancreas. This presented a new option, to enucleate or shell out the tumor. He had performed this type of procedure on other pancreas tumors, but never on an IPMN cyst. Although there were challenges with this method, such as bleeding and leakage of pancreatic juice, this method appealed to Dr. Helton in that, unlike the Whipple, it allowed for greater preservation of Ky’s healthy organs. According to Dr. Helton, while only a few enucleation operations on pancreas IPMNs have been performed in the world, the merits appear to outweigh the risk, making it a reasonable approach to take with Ky.
At age 48, John Burke was perfectly healthy until one morning he awoke at 3:30 a.m. with severe back and stomach pain. Shocked to learn that he had developed severe acute pancreatitis, John was transferred by helicopter from Port Townsend, Wash., to Virginia Mason, in Seattle, Wash.
With his wife Theresa by his side, John spent several weeks in Virginia Mason’s Intensive Care Unit (ICU). There his care team, including Michael Gluck, MD, Associate Director of the Pancreatic Center of Excellence, treated his infection. 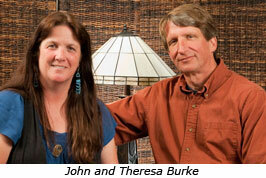 John’s care team worked to combat his recurring fever and delirium, and finally helped him rebuild his ability to eat. Though much of their stay in the ICU was filled with frightening uncertainty, Theresa always felt comforted and cared for. Now pursuing a new career in education, John is grateful to be back to feeling like himself again. When artist Fernando Fraga came to Virginia Mason from Uruguay after eight months of anti-tuberculosis treatment, it was with hope that the Esophageal Center of Excellence team could restore his esophagus and allow him to regain the ability to eat and live a normal life. After a successful esophageal resection, and before heading home to Uruguay, Fernando tasted his first soft food in more than a year. Charlotte Bridges has suffered her entire life with gastrointestinal pain. As a medical researcher and an engineer, Charlotte reasoned that there had to be causes for her illness. But, no one could put a finger on just exactly what was causing her pain and constant vomiting. Throughout her career, Charlotte had been involved in pioneering research at the University of Oklahoma Medical School, at the Northeastern Ohio Universities Medical School and at the Oklahoma Medical Research Foundation. Charlotte had seen countless physicians. "No one had an answer," says Charlotte. "I was sick from the time I was a baby and no one could tell me why." 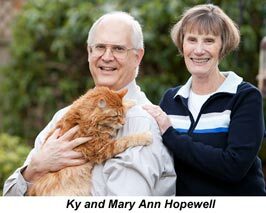 In 1992, two years after moving to Ephrata, Wash., she was referred to the Digestive Disease Institute at Virginia Mason and gastroenterologist Richard A. Kozarek, MD. After another series of tests, Dr. Kozarek determined that Charlotte suffered from a rare condition known as “hollow visceral neuropathy." 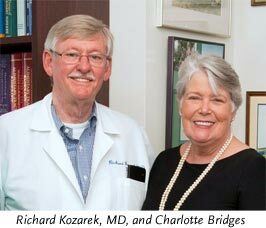 "I am so thankful to Dr. Kozarek and Virginia Mason for helping me find out what was wrong and for helping me feel better," says Charlotte. 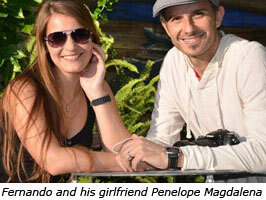 Finally, she had a name for her disease and a treatment plan to ease her suffering. Now Charlotte makes the long, three-hour drive from central Washington to Virginia Mason every four weeks for evaluation testing, treatment modification and treatments. The trek has given Charlotte hope for a healthier future. Ross Morris spent the first few years after being diagnosed with ulcerative colitis suffering from the disease and repeatedly hearing that both the cause and cure were unknown. After a few years of being treated with minimally effective drugs with unforgiving side effects, Ross was desperate for help. 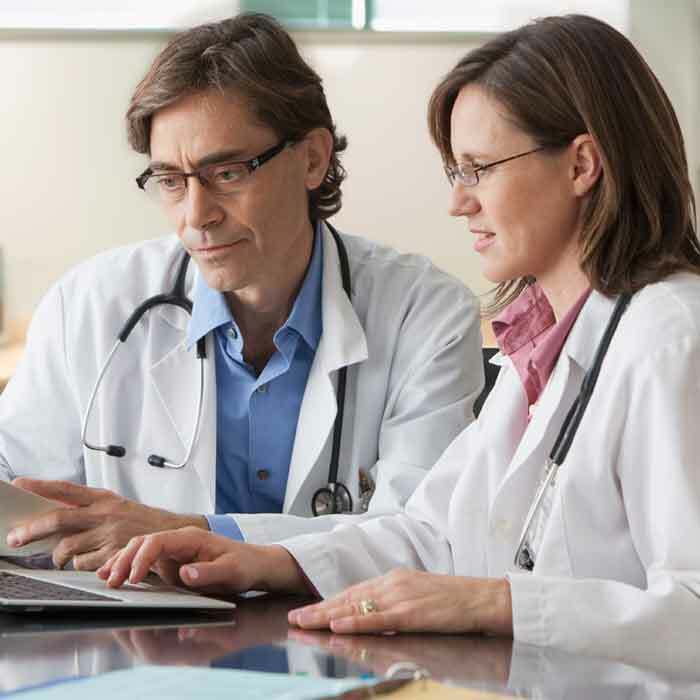 It took several referrals to top gastroenterologists around the country before Ross was finally referred to Richard Kozarek, MD. Ross couldn’t believe that “The Guy” was located only 10 minutes from his house, at Virginia Mason. Soon after meeting with Dr. Kozarek, Ross found himself at an incredibly crucial point in his illness. Miserable and in daily distress, he met with surgeon Richard Thirlby, MD, who removed his colon and provided the first complete relief from his symptoms in years. 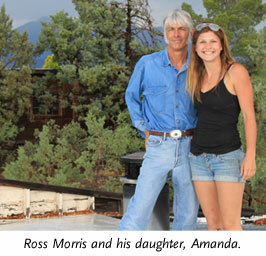 Since then, Ross has regained his lifestyle to the fullest, enjoying his family and the outdoors every day. He has continued to be a Virginia Mason patient for the last 22 years and is hopeful that patients like him will receive better and better care because of the dedicated work and research being done at the Digestive Disease Institute.